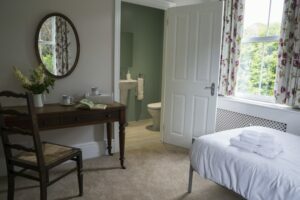 Claridge House is Victorian house full of character, set in beautiful wooded gardens, offering bed and breakfast, weekend breaks and personal retreats. 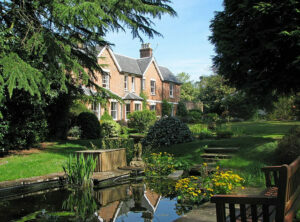 Our courses include Yoga, Mindfulness, Massage, Painting, Meditation and Tai Chi, run by expert tutors. Located between the rural villages of Dormansland and Lingfield, we are within easy reach of rail, air and road links, on the edge of Ashdown Forest and close to several National Trust properties. 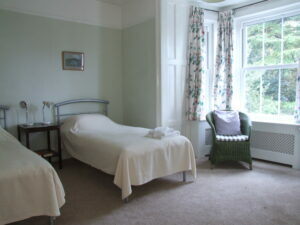 We have twelve rooms, most En Suite, one with a shared bathroom and a self- contained courtyard annexe. Fresh seasonal organic vegetarian food is prepared by our skilled team, with our menus centred around locally sourced sustainable produce, including biodynamic orchard eggs from nearby Brambletye Farm. We have a consistently high rating on TripAdvisor and look forward to welcoming visitors for a stay in our beautiful surroundings.